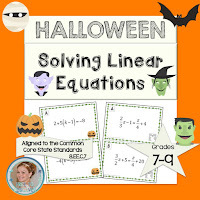 Halloween in a middle school classroom can be a nightmare. 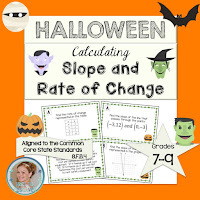 Students are thinking about costumes, parties, and candy when you need them to be focusing on slope, rational numbers, and equations. Do you accept the lost day and move on? 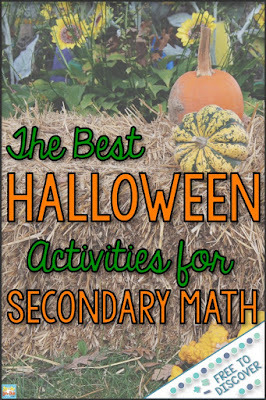 Fight it and assign seatwork to bore the excitement right out of them? I have found a better solution that I love and my students love, too! 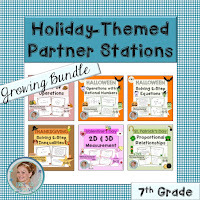 I have created a line of holiday-themed partner stations. 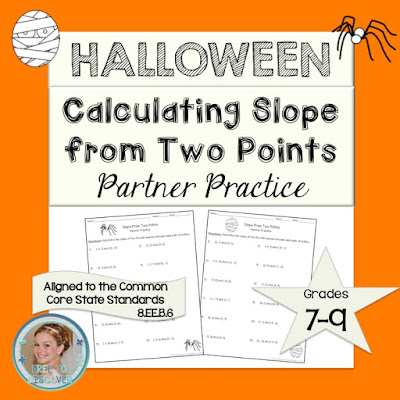 Students work with a partner and move around the room as they solve math problems. 1) Set up the 8 stations around the room. I typically tape them to the walls and give students clipboards to write on. 2) At each station there are two different problems – each leading to the same solution. One student completes problem A and one completes problem B. They are working independently, but can check their answer to make sure it matches their partner’s answer. 3) Students show all of their work in the provided workspace. At the bottom of the workspace, there’s a key that lists all correct answers and some answers to common errors (and some random numbers to fill in all spaces). 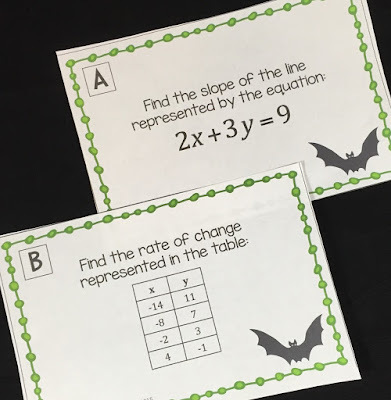 Each answer is matched up with a letter so that students “collect” a new letter at each station. 4) Once students have completed all 8 problems, they unscramble the 8 letters to determine the themed code word. During these activities, my students are super engaged. They find the activities fun because they are working with a partner and moving around the room. I am happy because they are practicing math – without complaint – on a holiday – and they ask for more… WHAT! I love it. 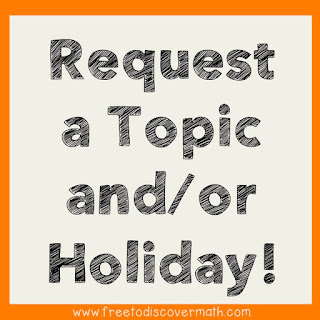 You can also put in a request for a different topic and/or holiday. I can work with very short notice. Fill out a request form to share what you’re looking for. And if these activities work wonders in your classroom, you can scoop up the entire bundle. 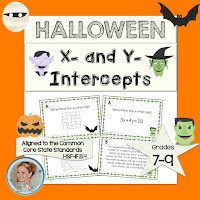 Try a worksheet version for free!